Niners are euthanizing their black alts and unveiling a new alt for next year. https://www.ninersnation.com/2018/5/17/17364882/49ers-new-alternate-uniforms-2018-replacing-black All white? All gold? Throwback? Anything's better than that black thing. That mockup at the top is awesome. Mike Singletary named the head coach of the Memphis team. https://profootballtalk.nbcsports.com/2018/05/10/mike-singletary-named-coach-of-memphis-aaf-team/ In the linked article, PFT lists additional cities/areas as South California, Phoenix, and Salt Lake City. "We have three players that should be in the Hall of Fame; Tony Boselli, Fred Taylor, and Jimmy Smith." He is not wrong. I never watched the Titans video or the Fins' one, but the lack of marketing speak in the first five minutes is nice. Is this the one they showed at the draft night thing? https://www.commercialappeal.com/story/sports/2018/05/05/memphis-awarded-alliance-american-football-team/583500002/ Memphis has been awarded the third franchise in the AAF. Hines Ward will announce the head coach sometime this week. Atlanta is officially an AAF location. They will play at GSU stadium, formerly Turner Field. https://aaf.com/atlantaalliance Head coach Brad Childress, Offensive Coordinator Michael Vick. Doubt you can retail anything until next Thursday. First couple games at home, they wear white traditionally. Hey sarcasm, I am not trying to be... sarcastic. He states this with 19:23 left in the video. He mentions Full Block has been used in the past, but this is "Full block modern." 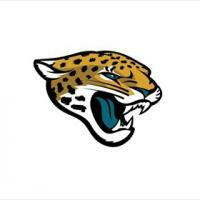 Sure facebook.com/jacksonvillejaguars Scroll down to "WATCH: 2018 State of the Franchise" Skip to the end where Brian Sexton is introducing the uniforms.